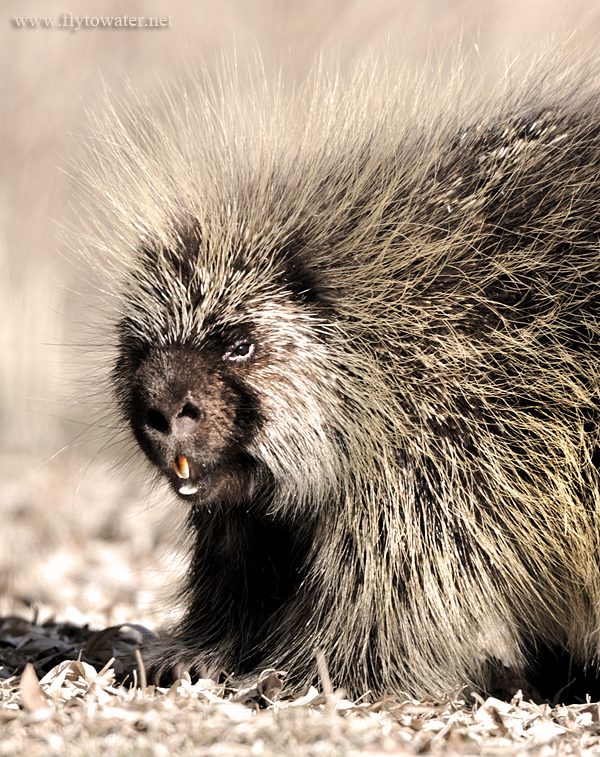 If you are a dog owner you know that one of the 3 perils of the uplands is the North American Porcupine, or Rodent Of Unusual Spikiness. Having a pup get a face full of quill pig is no fun, as I can personally attest. Yesterday I was out in the field without dogs, looking for raptors with JayMorr. When you don't have to worry about your pointers, these can be fascinating creatures to watch. Ambling about in the unconcerned manner of an animal coated in acupuncture needles, Porky is easy to approach. 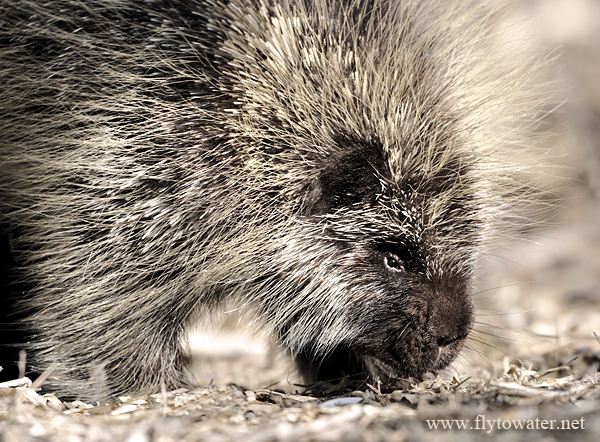 While the concept that quills can be launched is a myth, porcupines still have a chip on their shoulders because they place 3rd on the list of large rodents behind the capybara and beaver. No one likes to be number three. Use a little caution - as they will swat you with their tails if given the opportunity. As wildlife goes, the quill pig is a relatively easy subject to photograph once located. The main consideration is not to be lazy and fire away from a standing position (which creates an awkward, downward-looking perspective). Go ahead and get dirty. Sitting, laying on your side propped up with an elbow, or going prone are all options that will put you at eye level with the subject for a more engaging image. It's hard to believe it's February out there with highs in the 45° F range, no snow at mid-elevations, and copious sunshine while it should be the dead of Winter. I for one am not complaining. Sure enough, he's not "shooting" at you. How did that myth start, anyway? Nice shots, sir.